In 2011, Team Jackson Hole has teamed up with Teton Adaptive Sports to help those with physical and developmental disabilities enjoy the benefits of sport activities. Teton Adaptive Sports is a Wyoming non-profit (501c3) corporation with the mission of establishing a comprehensive program supporting sports and recreational activities for people with disabilities living in or visiting the Greater Teton Area. Headquartered in Jackson Hole, Wyoming, TAS exists in an area abundant with outdoor recreational opportunities. We believe that these opportunities could and should be available to everyone. 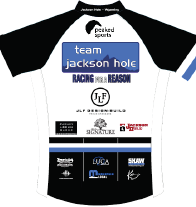 For more information on supporting Team Jackson Hole in their efforts to raise awareness and funding for Teton Adaptive Sports, contact us at info@teamjacksonhole.com.